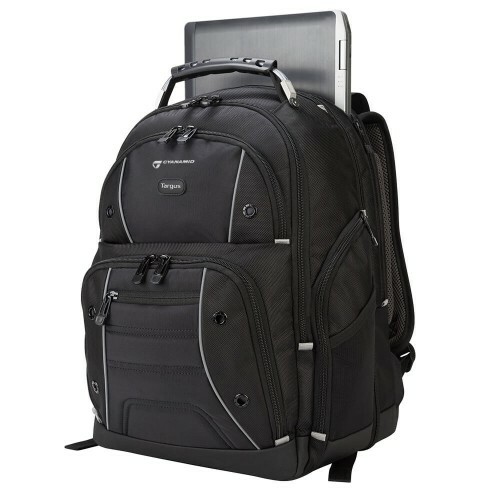 The Targus Drifter TSA Plus Backpack is smart, comfortable, and big on space. 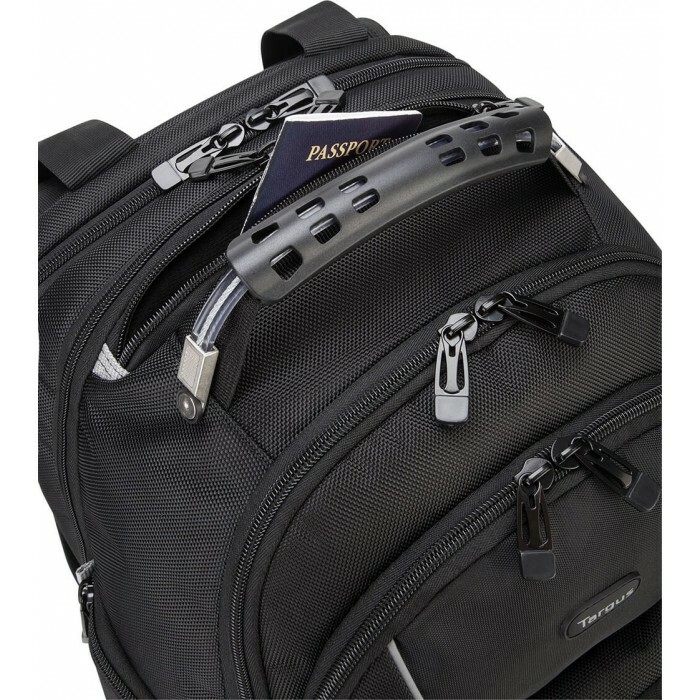 For quick trips through airport screenings, the patented checkpoint-friendly design unzips to lay flat so that you don’t have to remove your laptop. 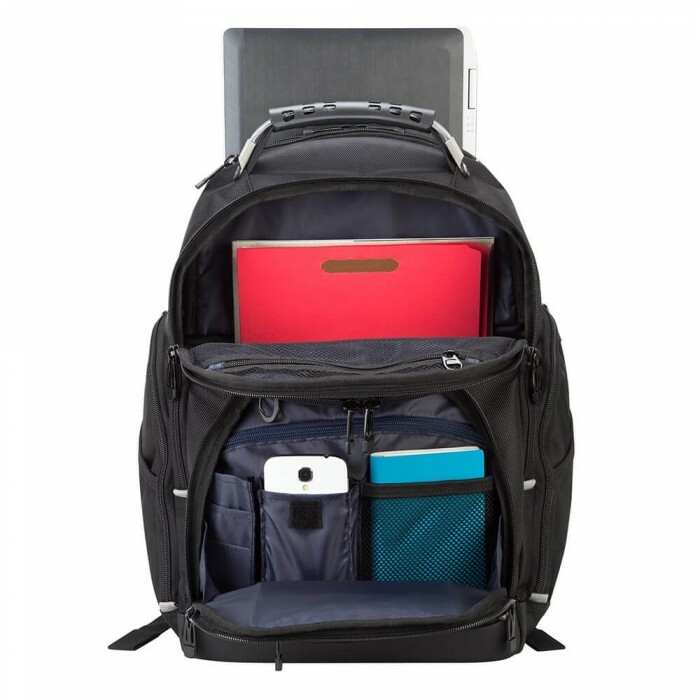 Designed for laptops up to 16” and featuring four main zippered compartment of varying size, the Drifter TSA Plus has an intuitive place for everything. Aside from the dedicated padded laptop compartment, there is a water bottle holder, a soft, lined zippered glasses compartment, along with obvious nooks for pens, pencils, and business cards. And when it’s loaded full of your stuff, the padded straps and back aeration pads provide a comfortable, well balanced fit. 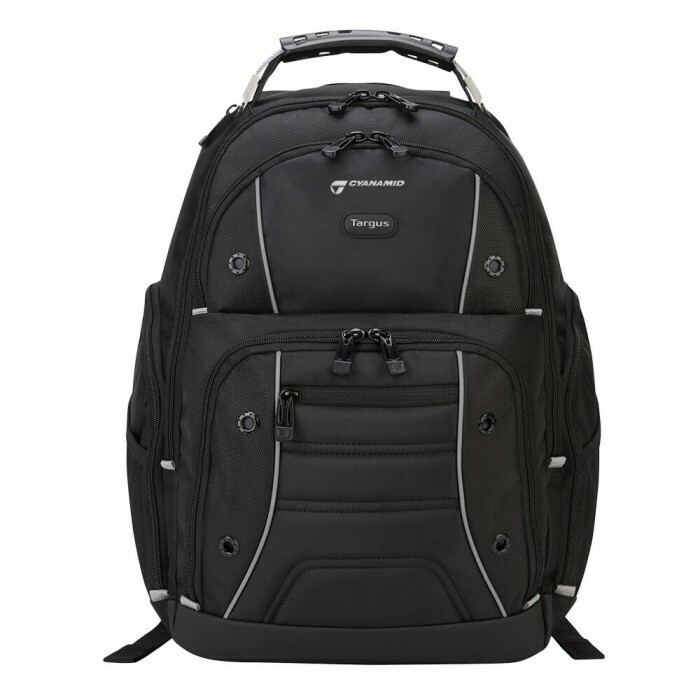 The Targus Drifter TSA Plus Backpack is smart, comfortable, and big on space. Pass through airport security hassle-free with a backpack that features a split design, which enables easy x-ray scanning without removing the laptop. Designed for laptops up to 16” and featuring four main zippered compartment of varying size, the Drifter TSA Plus has an intuitive place for everything. 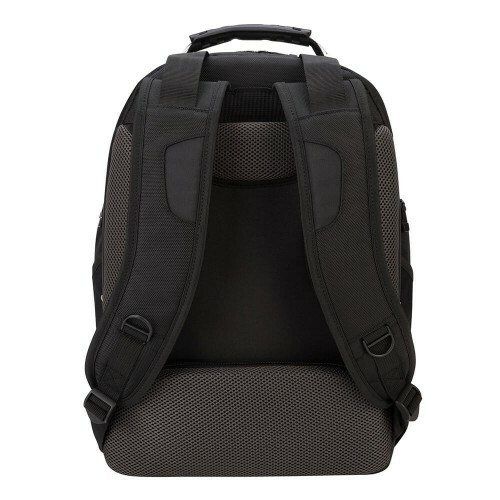 Aside from the dedicated padded laptop compartment, there is a water bottle holder, a soft, lined zippered glasses compartment, along with obvious nooks for pens, pencils, and business cards. 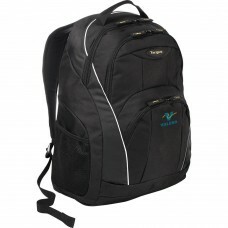 when it’s loaded full of your stuff, the padded straps and back aeration pads provide a comfortable, well balanced fit. 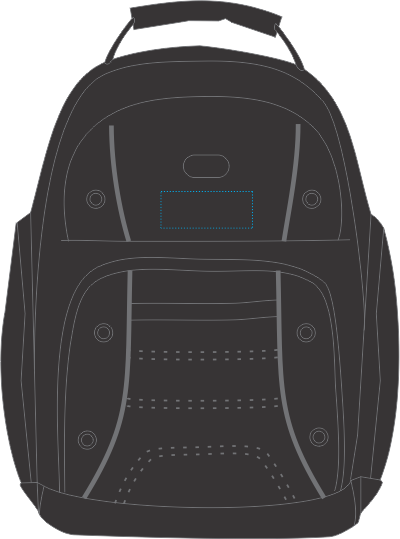 Cushioned aeration pads keep you comfortably cool. 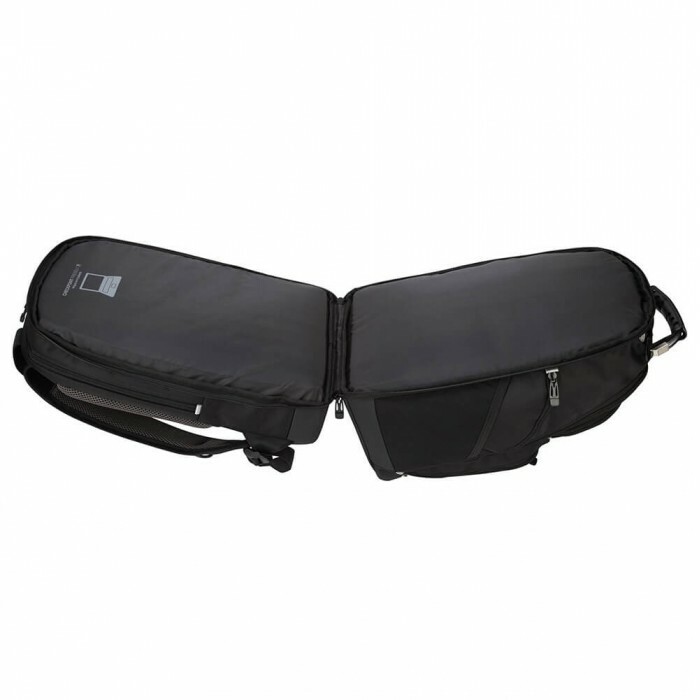 4 main zippered compartments of graduated size. 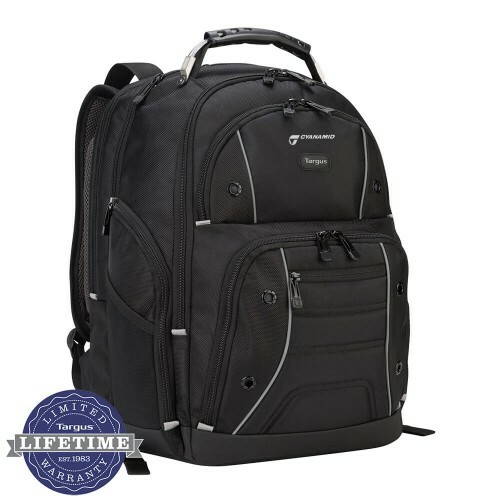 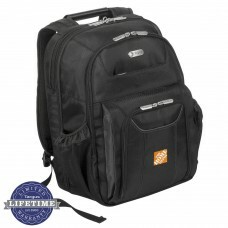 Dedicated padded compartment fits laptops up to 16”. 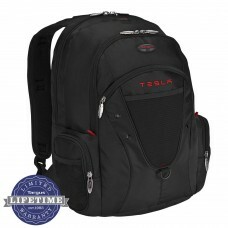 Size: 14W" x 18H" x 8D"
Imprint Size: 2 1/2W" x 1 /2H"